Live! from E.V.I.L. 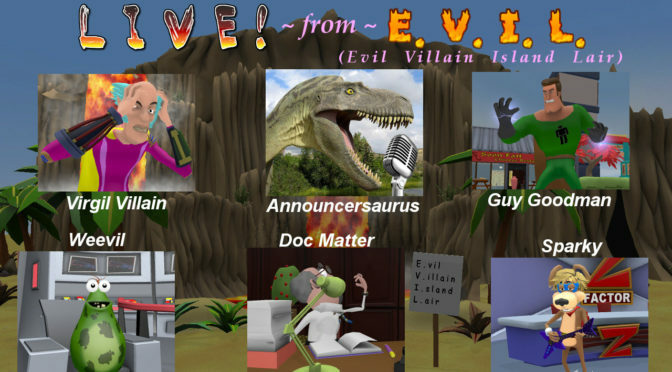 (Evil Villain Island Lair) has a new Sizzle Reel below!